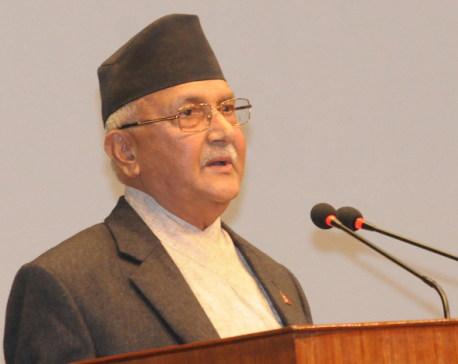 KATHMANDU, June 6: Prime Minister KP Sharma Oli has said the government has prioritised job creation at home. 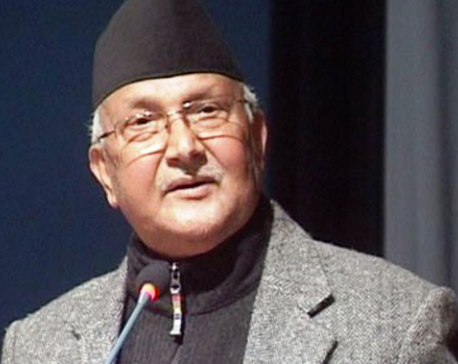 Inaugurating the 23rd National Convention of the Federation of Nepal Cottage and Small Industries (FNCSI) and the 20th women entrepreneurs' conference here today, PM Oli asserted that the government's policies and programmes as well as the budget were centred on creating employment opportunities within the country itself. He said through its policies and programmes and the budget, the government has encouraged the youths to start up enterprises and business based on small and cottage industries, tourism and agriculture. "I urge the youths aspiring to go abroad in search of employment to find work within the country and become self-employed rather than opting to go abroad, only bemoaning lack of employment at home," he said. Saying the country was self-sufficient in clothes and food grains until some years back, the Prime Minister said the level of dependency has started increasing and not even such things as buttons, needle and yarn. He added that this level of dependency on others could be ended only with the promotion and development of small and cottage industries. He believed that small and cottage industries sector could be the means for creating employment and making the country self-reliant. On the occasion, PM Oli honoured lawmakers Chhowang Tenjing Tamang, Dr Bhisma Nath Adhikari, Chandra Maharjan, Nara Bahadur Chand, Parbat Gurung, Bishram Chaudhary and Raju Khanal in recognition of their special contribution to the promotion of small and cottage industries. Likewise, he felicitated the former chairpersons of the Federation Om Gurung, Ramesh Kumar Shrestha, Basudev Giri, Padma Prasad Poudel, Aang Tendi Sherpa, Lata Pyakurel and women entrepreneurs Inu Poudel, Manu KC and Anjana Tamrakar. Small and cottage industry entrepreneurs from across the country are taking part in the two-day conference which will also elect a new leadership of the Federation for the coming three years. 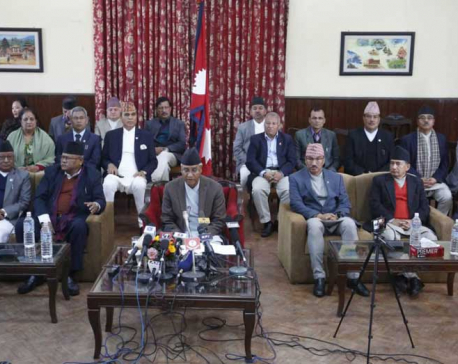 FNCSI president Suresh Pradhan said that the National Reconstruction Authority (NRA) has not paid attention to the reconstruction of the small and cottage industries damaged by the April 15, 2015 Gorkha Earthquake.